Another year, another leadership spill. Who needs shows like The Rake, when the real one provides better viewing and an endless trough of material for comedians experienced and budding to work with? 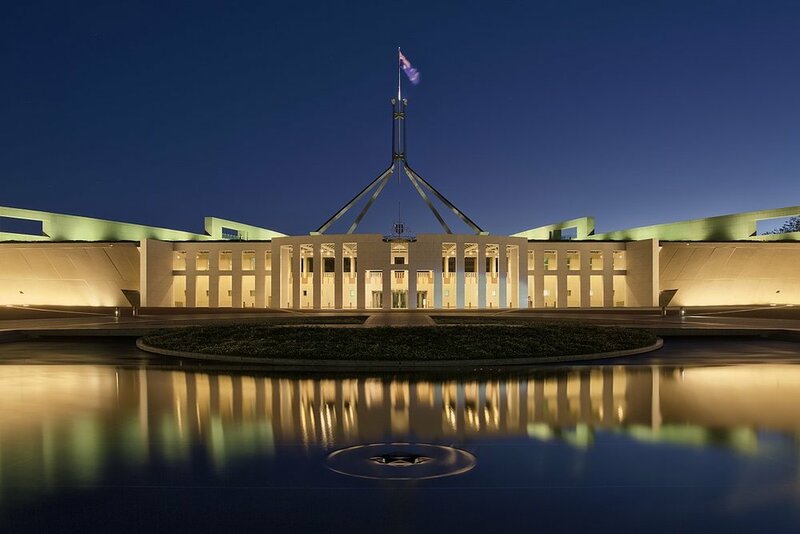 Leadership spills have become commonplace in Australian politics, and crosses political boundaries, and when they happen at the Federal level, all sorts of policy doesn’t happen, and nothing gets done (not that they were working very hard at all to begin with). The Federal Government of late hasn’t been very effective at all doing things, and when they do things, it’s generally short-sighted and detrimental, though to be fair, bad decision making seems to be part of the national character rather than that exclusive to the political sphere. Here’s a litany of some of those bad decisions- buying the F-35 Lightning Joint Strike Fighters (and additional FA-18/E, the lack of a firm agreement regarding energy policy, the pile of junk that is called the National Broadband Network (the end result being our gamers getting beaten by gamers from other countries), the lack of an economy plan that doesn’t extend beyond mining, the continual neglect of agriculture (which leads to the heavy investment by Chinese businesses due to lack of an alternative). And we're just talking tangibles here that are much more universal and understood, and ignoring for now other moral issues. When the entire leadership dramas descends into something like that Red Wedding episode from a certain television series, no wonder Tom Ballard’s skit about a barista, a doctor, an actor dressed as a tradie, and an engineer chastising the government for not doing their f***king job and Richard Di Natale’s thunderous broadside in Parliament resonated so far and wide. So I’ve begun thinking- what if the Federal Government was made smaller- in the sense where decision making on a lot of day to day administration and economic policy to State and Local governments, who are often better placed to make decisions that affect people on a day to day basis though this doesn’t translate to good decision making- see also Sydney’s congestion issues and Western Australia’s inability to plan for life after the resources boom. This also ameliorates the double bind of corporations and other wealthy donors being able to unduly influence our politicians through massive ‘donations’. The only things Federal should be doing is talking with other foreign heads of state and organizing the nation's defense. In all likelihood- we’ll have to go out again, with one of those heavy, angry sighs, and vote in a snap election if the ruling Coalition cannot maintain a majority (and intervention via the Governor-General seems highly unlikely) and eat at least one democracy sausage (where’s Bunnings Warehouse when you need them?). Bill Shorten will probably win by default, though this one of those situations where you would pit an inanimate carbon rod against the Liberal party and the former would probably win. If Labor manages to lose this one, we’re done for. But then again, these are just the thoughts of an average Joe Citizen, and would do not an iota of change.